Get a restaurant quality sear in your own backyard with this Golden Blount Elite II infrared gas grill. This 100 percent infrared grill features two tried and true, 15,000 BTU ceramic infrared burners for 30,000 BTUs of total cooking power. Experience no cold spots along your 425 square inch cooking surface. This grill quickly heats up to an impressive 1600 degrees, to sear foods instantly and lock in juices for tastier meats. The V-groove stainless steel cooking grids allow for less grease build-up and fewer flare ups. When juices do drip onto the burner, it instantly vaporizes and turns into flavor that gets absorbed right back into your food. Keep your finished food warm on the 175 square inch cooking surface on the upper grid. The all 304 stainless steel, double walled hood allows for natural air flow, which gives your food a more smoky, flavorful taste. 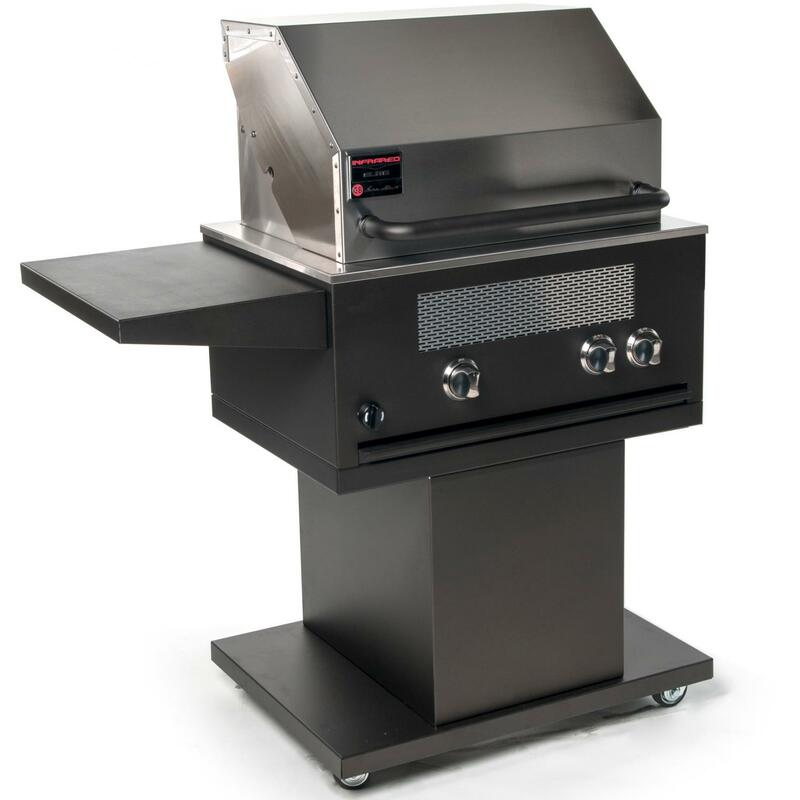 This grill is built to last with a durable textured powder coated body and shelf, with heavy-duty industrial casters. This grill comes standard with one shelf, but you may add an additional shelf for more work space. Enjoy high end features at an affordable price with this versatile grill that allows you to cook everything like a pro, from steaks and chicken to seafood and vegetables.